SAN FRANCISCO, CA and VANCOUVER, CANADA – April 17, 2018 – Percolate, the System of Record for Marketing®, and Allocadia, the leading Marketing Performance Management solution, today announced a partnership to further streamline the marketing process to deliver more effective marketing results. This partnership is another validation of the growing importance of the marketing operations role and technologies that support their objectives. The integration will be featured during Transition, Percolate’s annual customer conference taking place in San Francisco on April 19. This joint solution of two mission critical marketing technologies - Content Marketing Platforms and Marketing Performance Management - will combine upstream marketing process management with strategic planning, budgeting and performance measurement, enabling marketing leaders to continually monitor and optimize marketing’s contribution to revenue and other priority business goals. Together, Percolate and Allocadia provide visibility into the marketing process from plans and activities through to measurement of results, improve team coordination and enable marketers to more effectively and confidently run marketing like a business. Steuart will be on stage at Transition 2018 in San Francisco on April 19 to further discuss the relationship between content and customer experience. She’ll be joined by Percolate’s Co-founder James Gross to discuss how marketing leaders can take advantage of Percolate and Allocadia together to optimize their business performance. To learn more or register for the conference, visit the Transition website. Percolate is the leading Content Marketing Platform for the enterprise. Percolate offers solutions to introduce visibility into the marketing process, improve coordination of work, and effectively build marketing campaigns and content. The world’s largest brands - including Mastercard, Cisco, Cigna, Electronic Arts, and Bosch - use Percolate to create a coordinated customer experience, reduce production costs, and understand marketing impact. Visit www.percolate.com for more information on The System of Record for Marketing®. 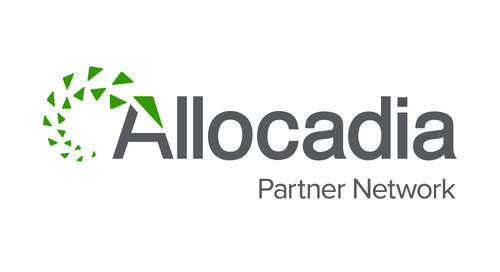 Allocadia is the leading Marketing Performance Management solution and creator of the #RunMarketing movement. The company's award-winning technology empowers marketers with confidence in their plans, investments, and ROI. Founded in 2010 by twin sisters Kristine Steuart and Katherine Berry, Allocadia today serves more than 10,000 marketers worldwide, managing over $25B in marketing investment to-date. Learn how leading marketing organizations at over 200 companies including Microsoft, Juniper Networks, VMware, Red Hat and Charles Schwab run the business of marketing at Allocadia.com.